Jordan has been an active ANA HUNNA country from the very first moment. 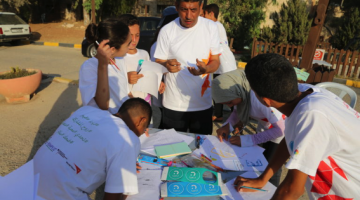 From Irbid over Amman to Al Aqaba, countless organizations and individuals work with the ANA HUNNA materials. No surprise that the committed ANA HUNNA partners in Jordan have established the ANA HUNNA Alliance early 2018 to continue the joint work. In addition to the country wide screenings and educational sessions, ANA HUNNA in Jordan has established a strong network of mentors and mentees who have been working closely under the lead of the University of Jordan and its Center for Women’s Studies to provide young female graduates with career guidance as well as personal and professional orientation. 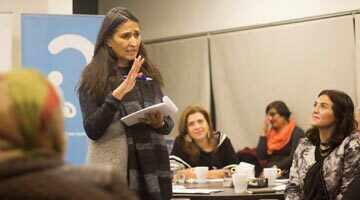 The ANA HUNNA Female Mentoring programme just finalized the second round the programme in 2018. "Some boys went home after the screenings to change their attitudes towards their sisters." The Hashemite Kingdom of Jordan is a true pioneer in the field of education: at 99%, the country has one of the highest literacy rates in the entire MENA region. 90% of girls have a primary school education; 80% graduate from high schools. 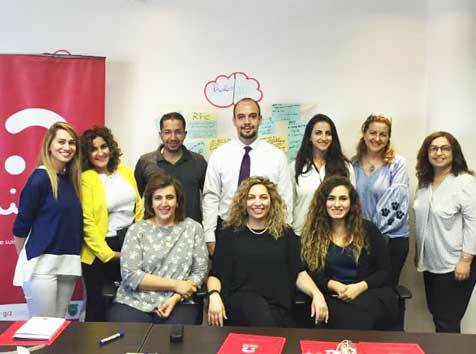 The gender gap in education is therefore as good as closed and, effectively, Jordanian women have optimum prospects for entering the employment market. 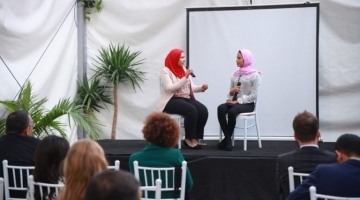 However, it is also a fact that just 14% of Jordanian women pursue gainful employment in the formal sector – that is the lowest employment rate among women across the region. The reasons for this are diverse: routes to work are often too long and transport links often poor. The gender pay gap is wide and there is a lack of flexible employment models and childcare offerings. Traditional perceived roles also often bar women’s entry and especially continuance in working life. 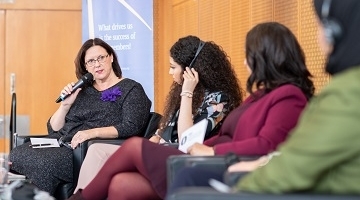 Generally, the economic and social opportunities are enormous: Though Jordan’s economy is still weak, a survey by the International Labour Organisation (ILO) shows that women’s economic participation could raise the gross domestic product by 21% – some 1.9 billion dollars. Which makes it all the more important to integrate women into the employment market and promote their social participation. Only this way can the country’s full economic potential be utilised. 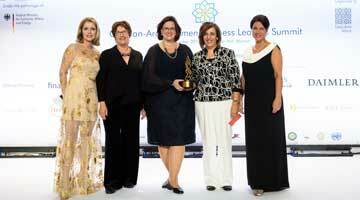 Committed and passioned ANA HUNNA supporters have formed the ANA HUNNA Alliance in Jordan. 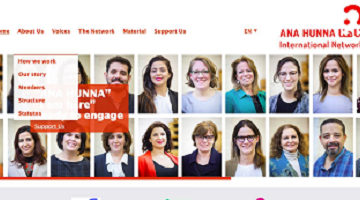 Dr. Abeer Dabaneh, the spokesperson of the ANA HUNNA Alliance, announced that all twelve members have signed the Memorandum of Understanding during the celebration of the ANA HUNNA Female Mentoring Graduation ceremony in March 2018. 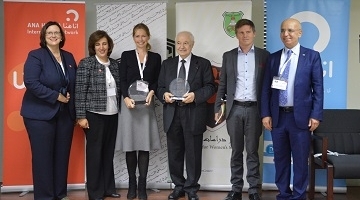 The network of individuals will continue with ANA HUNNA activities in Jordan. 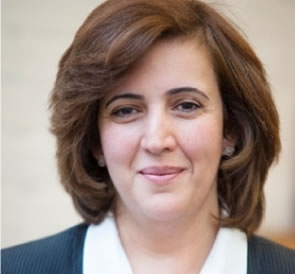 Dr. Abeer Dabaneh, based in Amman, Jordan was elected Second Chairwomen of the ANA HUNNA International Network e.V. in November 2017. For inquires regarding ANA HUNNA in Jordan, please contact jordan@ana-hunna.org. 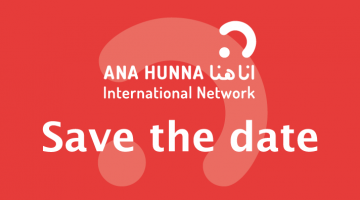 Who else is member of the ANA HUNNA International Network in Jordan?